Long ago in Oxford, Professor C. L. Wrenn and I conceived of placing “treasures of the ancient north” alongside the text of <i>Beowulf</i>. 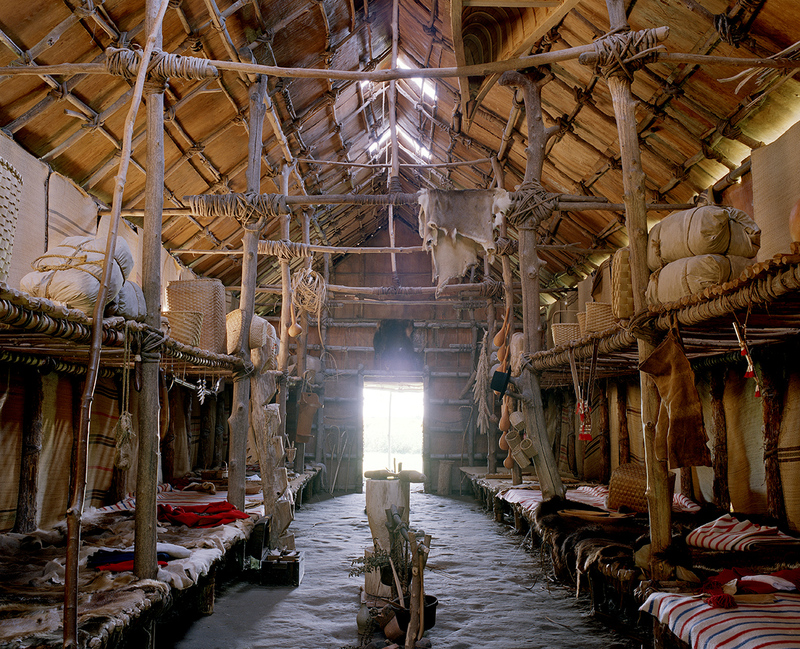 Our plan was to select museum photographs of Anglo-Saxon and early Scandinavian artifacts that would illustrate the material world evoked by the poem. After Professor Wrenn's death in 1969, the project lay fallow for a decade; on reviving it I added the translation to give the photographs an immediate context. Published jointly by the University of California Press and Pentangle Press in 1983, the book won awards for artistic layout, displaying many of the artifacts on two-page spreads. Although the items thus presented are broken up in the single-page format available here, this volume contains a wealth of visual information. It is offered here as a supplement to an article on visualizing the world of the poem, soon to be published in a volume on teaching <i>Beowulf</i>. 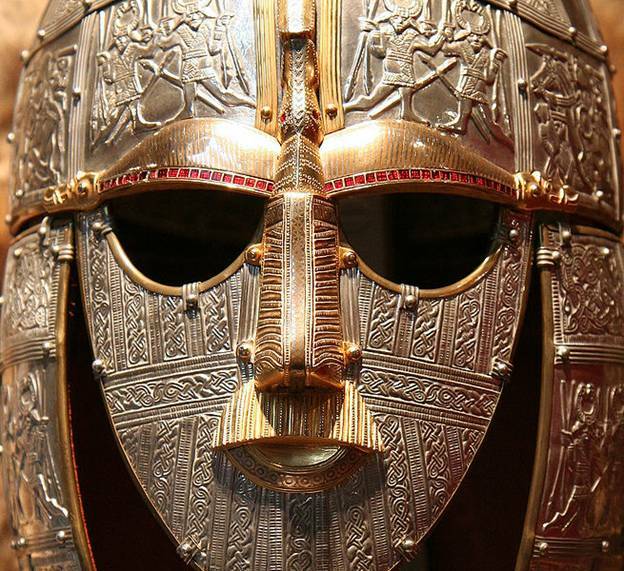 In 1983 the Sutton Hoo treasure loomed large, as it still does, and the Coppergate helmet had just been discovered in York; pictures of this helmet on the cover and within this volume were among the first to appear anywhere. Since that time the two most striking discoveries relevant to the world of Beowulf are the series of large early medieval halls excavated near the village of Lejre in Denmark, long thought to be the location the poet imagined for the hall Heorot (see http://www.acmrs.org/publications/catalog/beowulf-and-lejre), and the huge Staffordshire Hoard with its own online site. Two additional pictures are offered here with my translation: Ian Harvey’s superb photograph of the mask of the Sutton Hoo helmet (do not miss the bird flying up the mask, its wings marked by garnets), and, for an analogue to the interior of an early medieval hall in use, Ben Stechschulte’s photograph of a Senecan longhouse reconstructed by members of that tribe. Randolph Swearer, Raymond Oliver and Marijane Osborn, <i>Beowulf: A Likeness</i> (Yale, 1990). Swearer’s sometimes almost surreal photographs alongside Oliver’s verse retelling of Beowulf freshly evoke armor and other artifacts, and Swearer also includes a range of photographs locating the action of the poem geographically. My essay at the end, “Imagining the Real-World Setting of <i>Beowulf</i>,” explains the significance of the photographs -- for example, of the Oseberg ship as a ghost-ship floating over the landscape of Sutton Hoo (pp. 12-13) and the horrifying sight of the only manuscript of <i>Beowulf</i> in existence engulfed in flames (pp. 94-97). Seamus Heaney and John D. Niles, <i>Beowulf: An Illustrated Edition</i> (Norton 2008). Niles imaginatively combines artifacts with landscape in the illustrations he selected for this lavish yet inexpensive book. Stephen Pollington, Lindsay Kerr and Brett Hammond, <i>Wayland’s Work: Anglo-Saxon Art 4th to 5th Century</i> (Anglo-Saxon Books 2010). Again heavily illustrated and with extensive useful commentary, this fine book offers the most definitive collection to date of the “artistic” artifacts of the period named. Marijane Osborn, “Some sources for Visualizing Beowulf by Marijane Osborn,” Woruldhord, accessed April 22, 2019, http://poppy.nsms.ox.ac.uk/woruldhord/items/show/722.